Got a suggestion? Leave a comment at St Luke’s Library before 31st October and you could be a winner! They won various prizes from Magdalen Road shops including a Barista Experience at Darkhorse Espresso, a voucher from Cafe Magdalen, a fruit box from E. M. Hills greengrocers, and vouchers from Leaf Street. If you’d like to be a prize winner then keep an eye out for other competitions running at St Luke’s Library throughout the term. 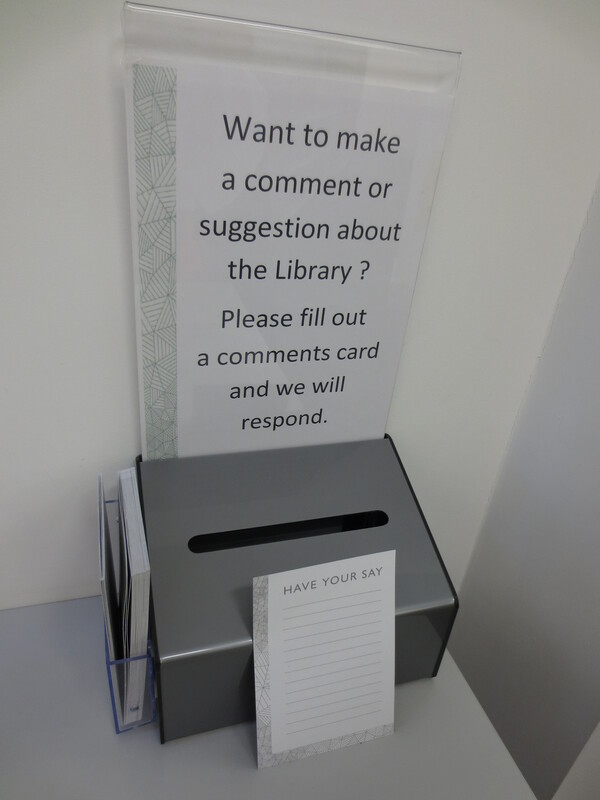 Currently, we’re inviting people to Comment and Win: suggest a positive and practical improvement to St Luke’s Library. All suggestions received before 31st October will be entered into a prize draw to win prizes donated by Spar and The Sandwiched Inn. So what are you waiting for? Leaving a comments card only takes a few minutes, there are designated comments card boxes around St Luke’s Library so just post your completed card through the box. Your suggestions make a real difference and help influence our services, plus there are great prizes at stake too. So please get commenting! This entry was posted in Luke's Library and tagged competitions, feedback, St Luke's on 17th Oct, 2013 by reg206.